2.) Select the cell that you want to paste into, right click, and select Paste Special. 3.) Check the Transpose box, click OK.
That’s it! Your table is now transposed. 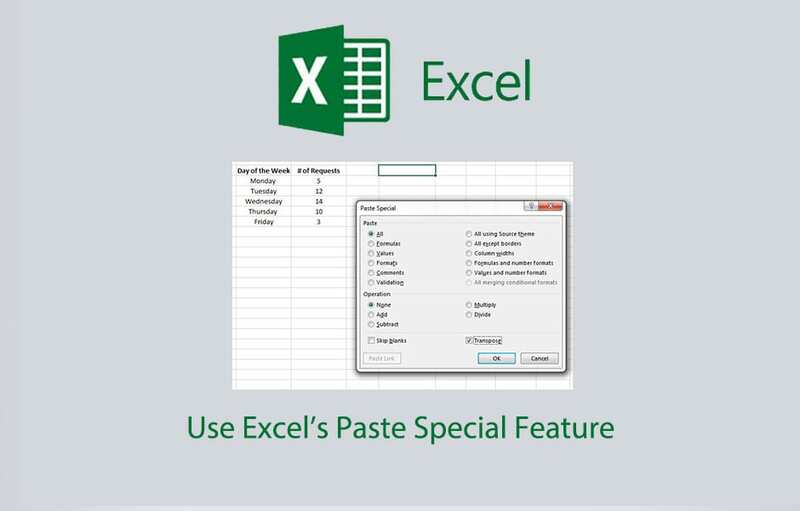 Excel's basic copy/paste function can be a bit limiting so adding Excel's Paste Special function to your arsenal is a good trick to become a more effective spreadsheet user. 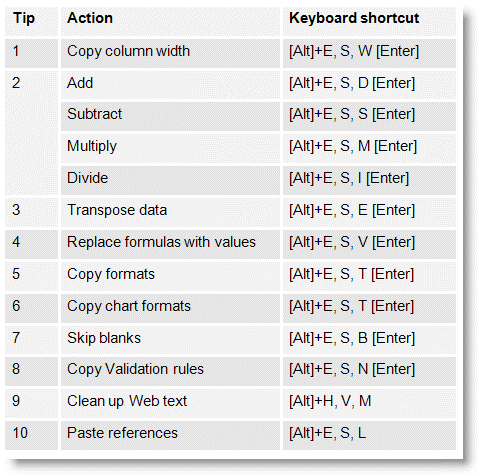 Some of the most common ways this feature is used includes: simple calculations, replace formulas with values, copying formats (tables or web formats), and copying data validations. 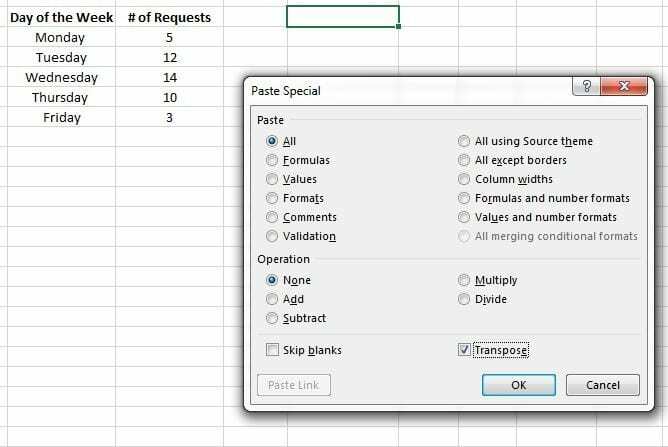 One of my favorite uses is the ‘Paste Special Transpose’ which allows you to easily switch rows to columns or columns to rows (this also can be done using the transpose function). 1.) Select and copy (CTRL+C) any column(s) of cells you want to switch to a row(s).